What was the "ah-ha" moment that gave you the final push to start Cute as a Button? I love to shop. My background is in merchandise marketing from the Fashion Institute of Design and Merchandising and I have worked in retail for many years. 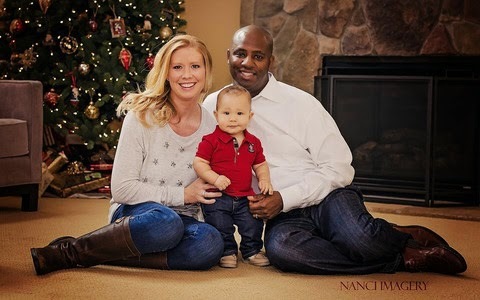 When I got pregnant with my son, I learned a lot about babies, products and of course clothes. After he was born, I quickly learned I had a baby that HATED the car seat. We didn't leave home often and when we did, it was to our local big box store to get run of the mill baby supplies. My boutique-style taste was not happy. There wasn't a great place to buy baby items in our hometown, or anywhere close. That is when I decided to launch my business. I wanted to give local moms the best items I could at the best prices. We launched the website as the foundation for our brick and mortar dream. It has been such a blessing for our family. I get to stay at home with my son, while living my dream of owning and marketing my own business. What has been your favorite product discovery since starting Cute as a Button? It is so hard to pick just one! Since we are a boutique, we love to carry items that are "breaking the norm". I would have to say my love for cloth diapers! I didn't know anyone that cloth diapered when I was pregnant and it wasn't until starting the store that I learned how easy it is! Baby # 2 will have a fluffy bottom for sure! But product specifically I would say the Lillebaby complete carrier! It makes baby feel light as a feather! Plus the airflow version keeps us nice and cool during the summer months! What have you found to be your biggest challenge as a WAHM? Balancing work and family time. I was a full time mom first and now I am learning how to find a balance. Launching a website with a 7 month old was hard. Every day things get easier. Routine is very important with our family and we have found what works for us. Nap time is my work time. I get 2 nap times a day still, so it's power hour and I get as much done as I can. What I can't, it gets done the next day. Our customers are amazing and we couldn't be more thankful for their understanding and support! Work will always be there, precious moments with my baby will not. 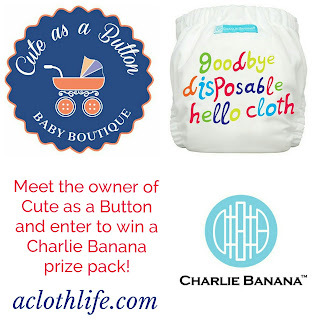 What has been the most rewarding aspect of starting Cute as a Button? All of the amazing people I have met! Fellow mommy business owners, bloggers, new and expecting moms! I am so lucky to be able to share my love and knowledge of baby products with these people! Helping someone find the perfect wrap to keep a newborn close or helping breastfeeding moms make the transition to pumping when they return to work. These are all real things that we go through and I am happy to help, even if you think you are asking a silly question. Helping an expecting mom discover new products or figure out what to register for, that is exactly why I started this business. Moms helping moms! What has been the biggest surprise for you since becoming a mom? How well I can function on little to no sleep. But the biggest surprise of all was the first time I saw my son. The amount of love I feel for him is greater than anything I have ever known. 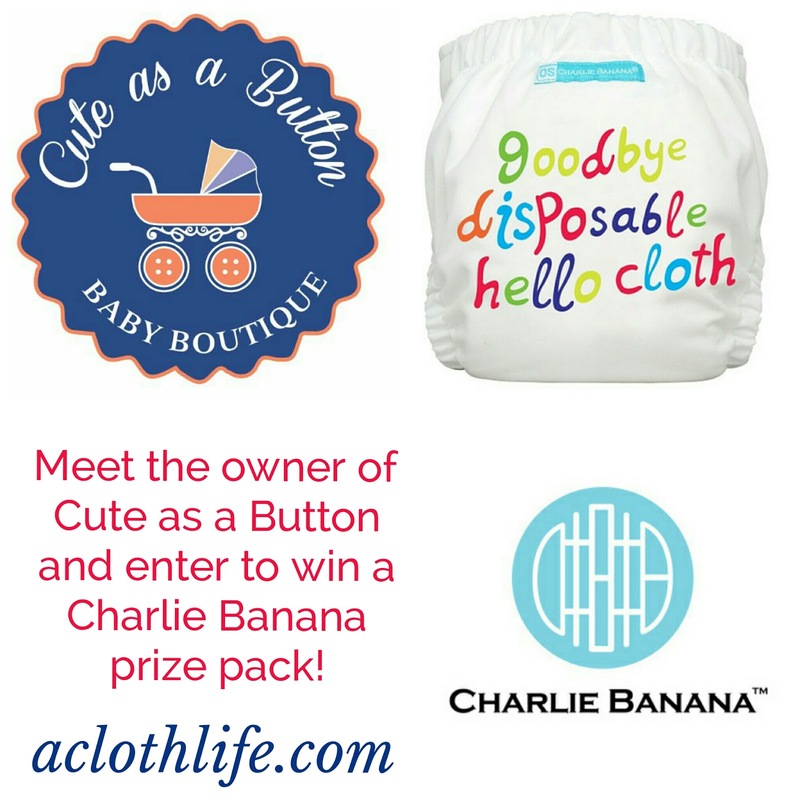 As a special treat, Kayti is offering one ACL reader a Charlie Banana one size cloth diaper with winner's choice of insert pack (hemp or regular). All you have to do is enter using the Rafflecopter form below! Standard ACL giveaway rules apply. Open to US only. I was not compensated in any way for writing this post. I love supporting small businesses, and especially WAHMs. As usual, all views and opinions expressed by myself are entirely my own!